What is Book Fair Takeover? Well, the idea is simple: let your pupils take over your Book Fair! 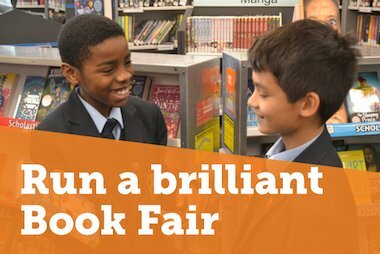 We provide you with tips, timelines and a comprehensive toolkit to help give your pupils the confidence and independence to run your Book Fair as a class or as a whole school enterprise project. With various job roles that the pupils can take on, the Takeover links to the curriculum in the areas of Financial understanding, PSHE and Citizenship, Mathematics, English, ICT, Art and Design. 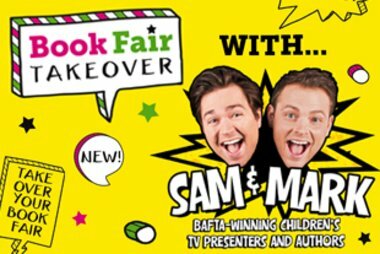 Book Fair Takeover is supported by BAFTA-winning children’s TV presenters and bestselling authors Sam & Mark! Look out for Book Fair Takeover tips, ideas and inspiration from Sam and Mark in the Teacher’s Guide and the other free resources. 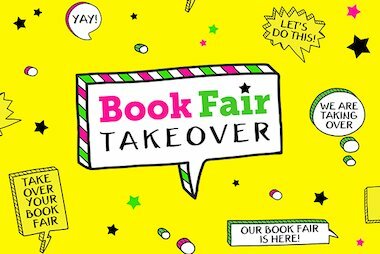 Make sure to share these with your volunteers, and don’t forget to enter our Book Fair Takeover School of the Year competition for a chance to win an iPad, £500 worth of books – and the chance for Sam and Mark to visit your school! Find out what teachers and pupils say about the Book Fair Takeover here. Ready to find out more and get started? Go to the Book Fair Takeover site. Winner of the Book Fair Takeover School of the Year Award 16/17, Laura Comerford, writes about her experience of running the project and allowing her Year 6 class to take over their Scholastic Book Fair. 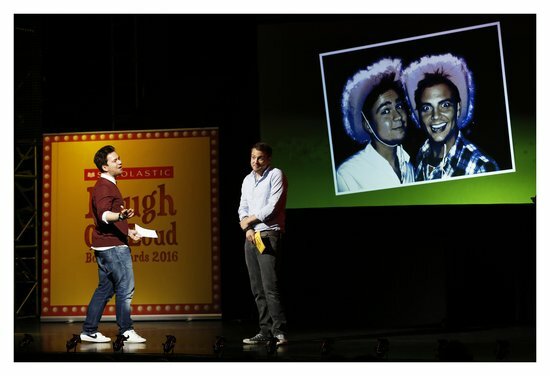 Book Fair Takeover Ambassadors, Sam & Mark, share their top tips for a successful Book Fair.